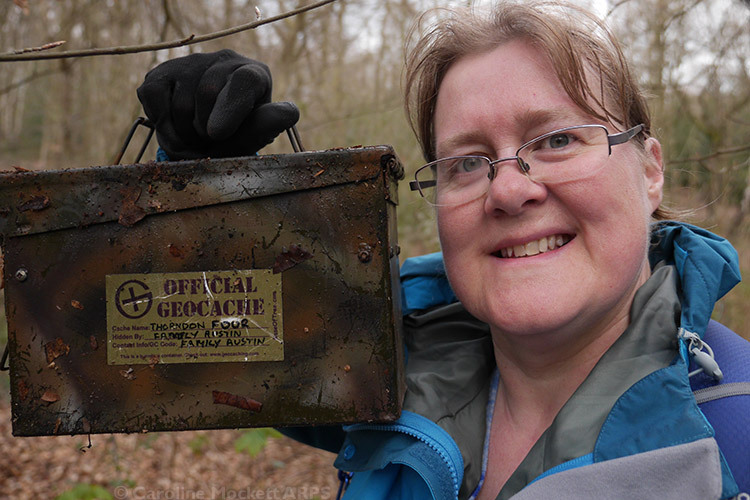 Today I had a great roam around the outskirts of Brentwood and then Harts Wood and Thorndon Country park, finding 8 traditional caches, which were some great hides. 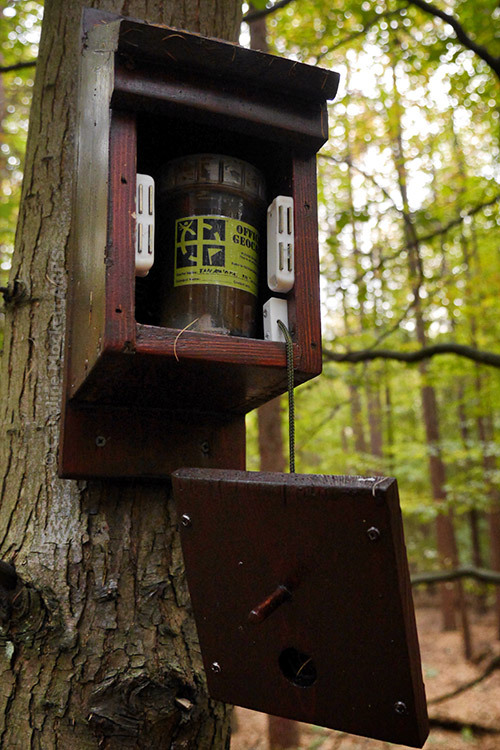 I started off with two caches to the north east of Brentwood. The first was called Jumbo and was a particularly on-theme container! Next up was a little box which went by the name of DEH1 – not sure what it all meant, but it had some nice little goodies inside. I moved the car and parked just to the north of Hartswood itself. 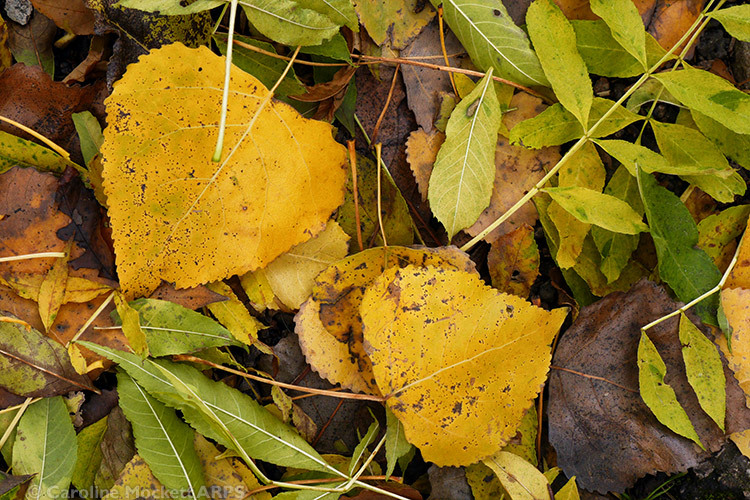 The Autumn colours were out in full force! 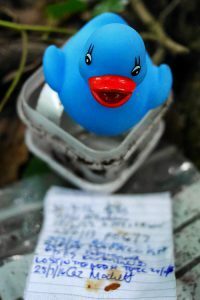 My first cache attempt in the woods was a DNF, but I met a couple of cachers there while I was looking. 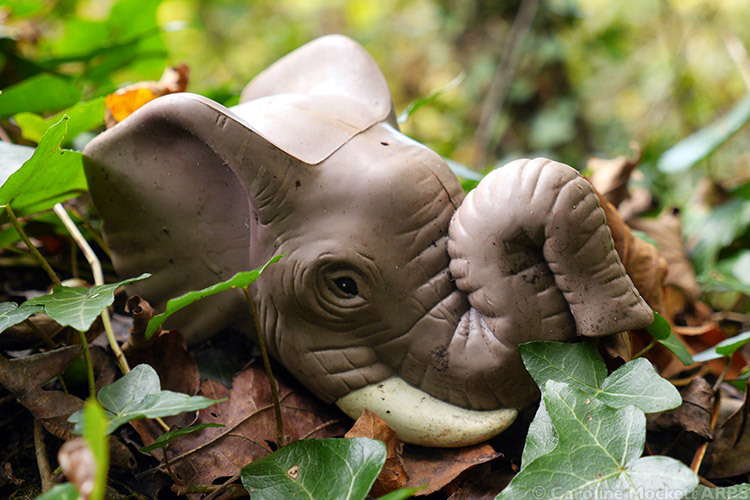 None of us could locate the box, but we had a good chat and moved on our separate ways. 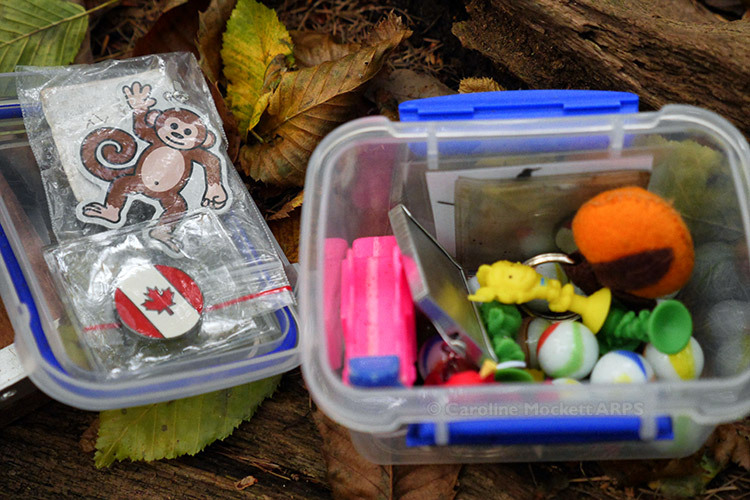 Thankfully I had more success with other hides in the wood, including this box with a travel bug which I picked up to move along. 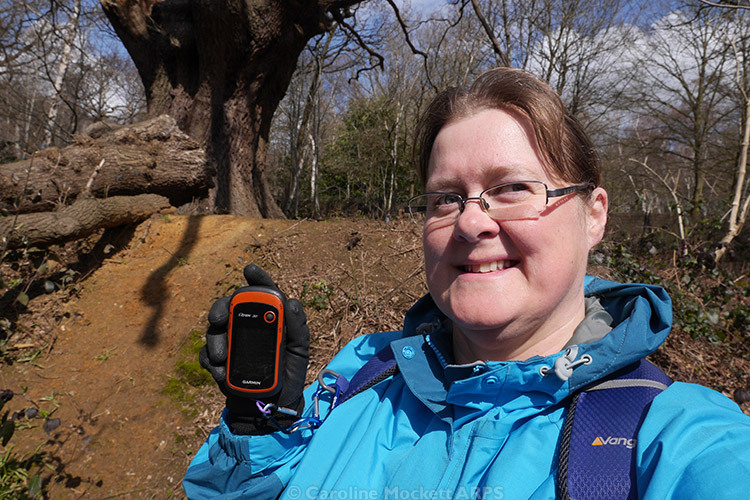 Someone’s celebrating their 10,000th find with this traveller! I’m a bit stingy and the parking cost in Thorndon Country Park is rather steep, so instead of moving the car again, I continued walking south and carried on to a few more hides in the centre and west of the park which I haven’t visited before. 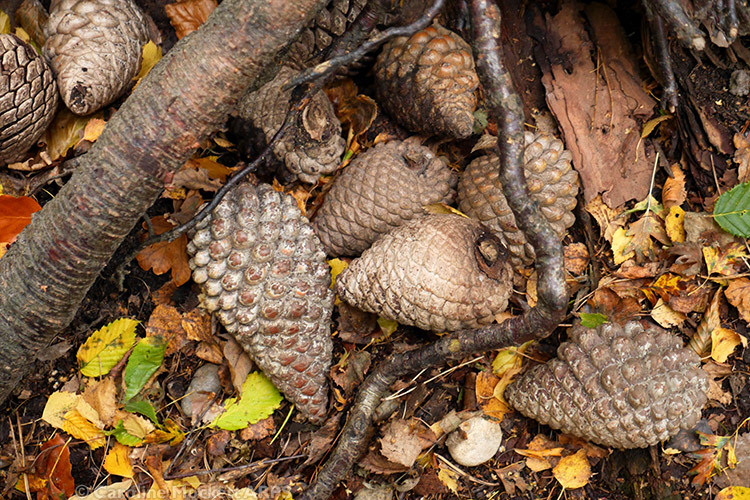 This one was a riot of choice – but I did find the right pine cone in the end! Thorndon One is an excellent hide – a nice big ammo box awaits. But what’s this? How do I get in? 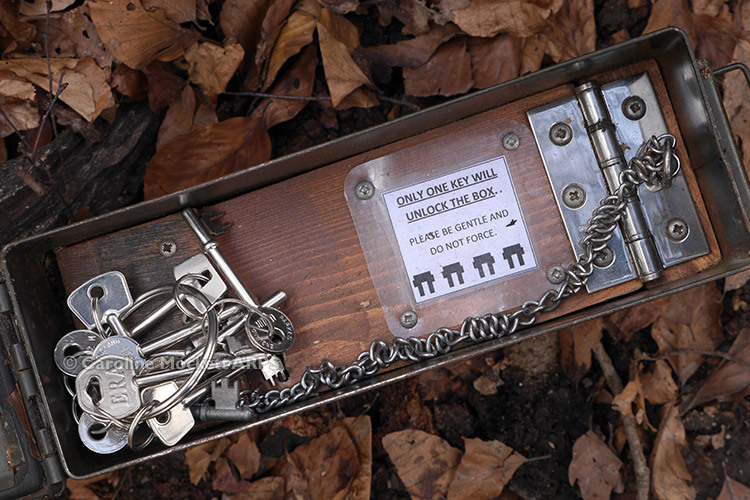 The answer is, you have to find the keys which have been hidden close by to unlock the log inside! 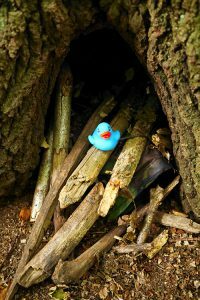 A very well crafted cache which certainly deserved a favourite point. 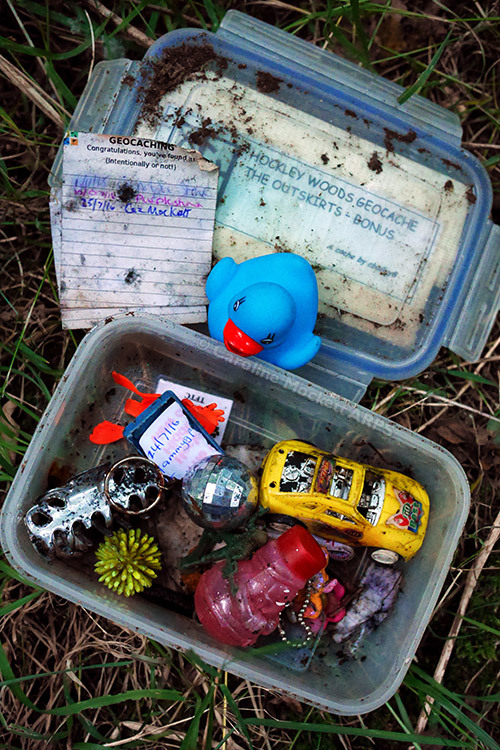 There were more travellers to be seen in another hide nearby, this time a conventional Tupperware box. Another well-crafted box was this fake birdbox – which looked very convincing – until you pulled the front off to reveal a pot inside! I was aiming for a minor milestone of 6,600 today, and the birdbox took me to 6,599. 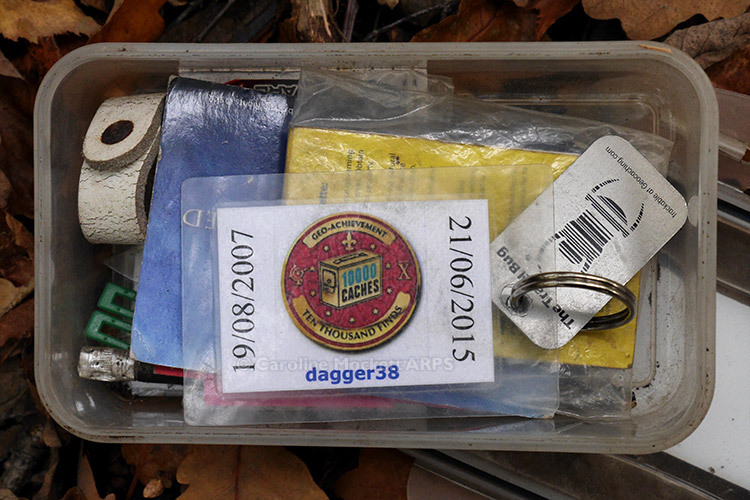 So I hot-footed it over to Warley for a final find to bring up my total. Then I had a long walk back to the car! But it had been a fun day out. 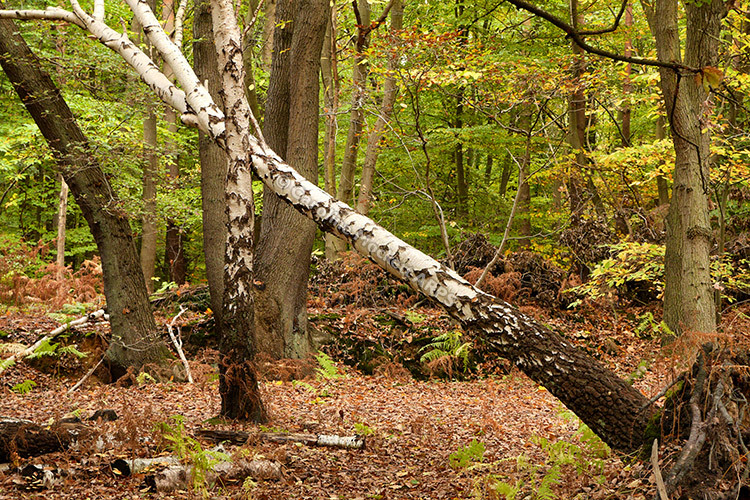 Today’s caching location was Thorndon Country Park near Brentwood. 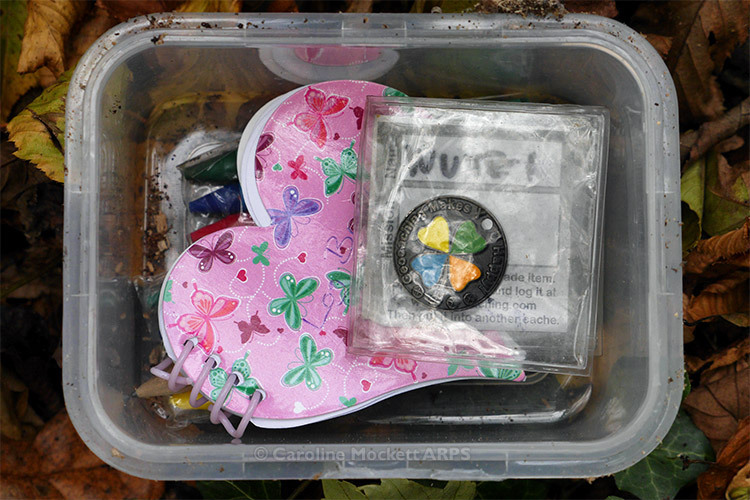 I last visited during Mega Week and found a few caches, but we didn’t have time to stay long that day, and ever since I have been meaning to return to find the five Earth Caches in the Pebble Walk series, which were placed for the event. 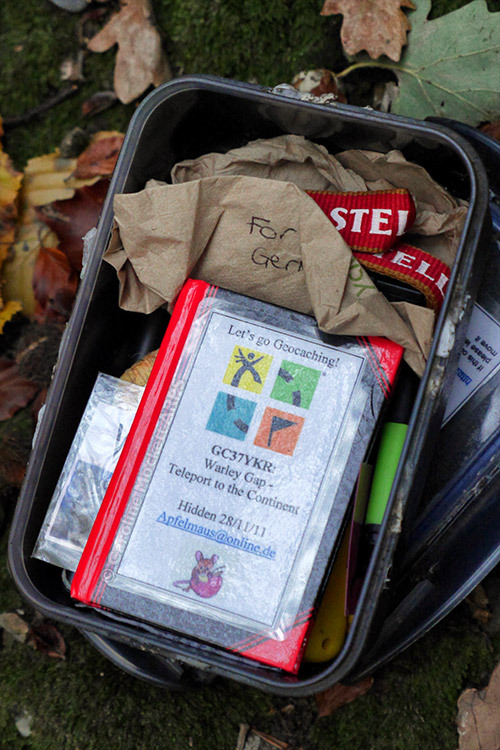 There’s an Earth Cache Challenge in Kent which requires you to have found at least 50 earth caches, 5 in one day and with at least 20 different DT combinations. I needed the five-in-a-day and a few more to make me up to 50, so this seemed the perfect solution. I spent a very enjoyable couple of hours pottering around collecting the information for the five earths, and I also detoured to find a few other physical boxes while I was in the vicinity. 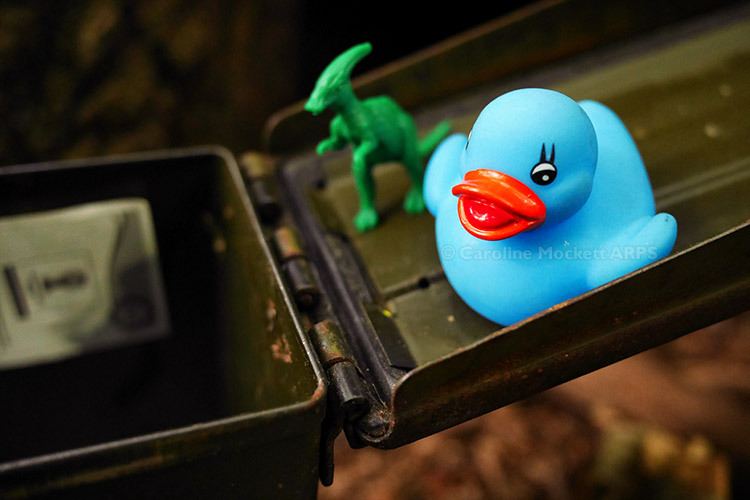 My favourite of the day was Thorndon Four – a lovely old Ammo can which held a surprise! 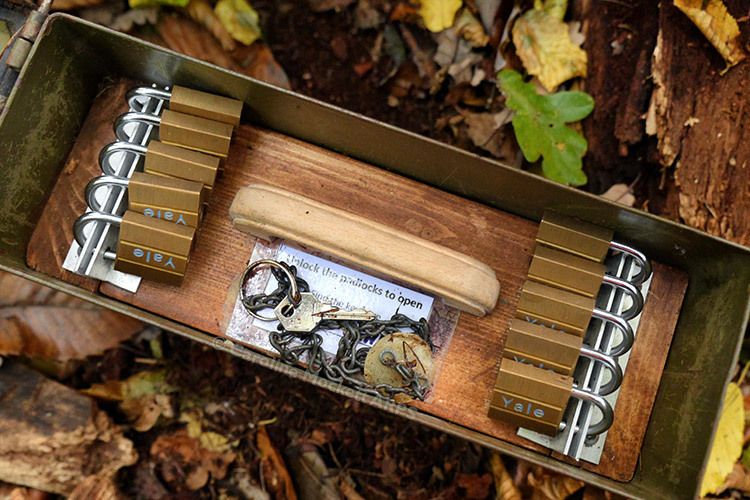 Yep, even once you had found the box, that wasn’t the end of it – you had to select the correct key to open the inside and get to sign the log! It didn’t take too long to figure out which it was. So now I’ve done all I need to qualify for the Challenge, which I intend to go and pick up tomorrow – especially as it will enable me to fill in another DT square!